haircuts all the while catering to our customers specific needs. If you are looking for the attention to detail of a high end pet salon in Santa Barbara and the affection of a trip to Grandma’s then come to A1 where we treat all of our clients like friends and family which is part of the reason we have the reputation of being the best dog groomer in Santa Barbara! We believe your four legged friend deserves the safest and best quality products to get them looking, feeling, and smelling their best. We exclusively use “Quadrapeds” line of shampoos, conditioners, etc. Quadrapeds products are derived from natural and botanical ingredients. These product’s performance are enhanced by the use of botanical blends with an emphasis on utilizing the unique benefits of the Mojave Yucca Plant, Yucca is a natural water softener which enhances its cleaning abilities. It is used in the treatment of many skin disorders and is a natural flea killer! Our Quadrapeds skunk odor products work better than anything other product we here at A1 LaundroMutt, have ever tried! The skunk odor is eliminated with the use of Zinc- another naturally derived ingredient. Our daycare is an affordable service that you don’t normally find in other pet salons in Santa Barbara. We provide an environment where dogs can socialize and play under the supervision of our staff while also receiving tender loving care. 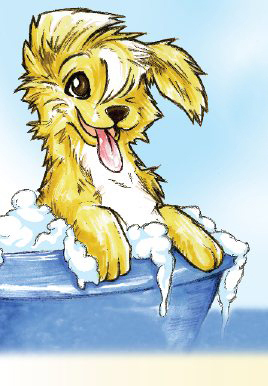 What makes us different when talking about dog grooming in Santa Barbara and dog grooming in Goleta? Well, the feedback we get is that pets enjoy their visits to A1. A common sight to see are tail- wagging pups vying for kisses and back scratches! We take our job very seriously! We pay attention to details like combing out your dog completely so you can enjoy a hair free home. We make nail clipping as stress free as possible. We get to know you and your dog/cat. Here at A1 we make a point of learning names and habits. We believe a friendly atmosphere creates happy dogs, cats, clients AND groomers! My dog Breezy loves going to A1 LaundroMutt and seeing Barbara and Brandy. Not only does she get to play with other dogs while I am at work, but she gets to be pampered with a bath, and nail trim. She always looks and smells great when I pick her up! 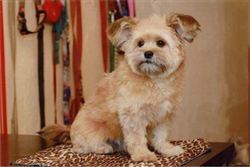 A1 LaundroMutt is the best dog groomer in Santa Barbara by far! Before a friend told me about A1 I used to drop my dog off in Goleta on my way to work. Now dog grooming Goleta sounds silly, I can call A1 and have her picked up from my house and still pay less. Contact us today to schedule services or for more info. Ask about our special offers and sales! Come by and say hello! 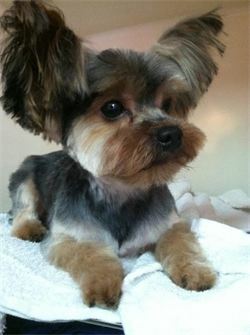 NEW CUSTOMER SPECIAL: For ALL 1st time clients we are offering $10 off your first grooming service.